Discussion in 'The Lounge' started by Alex1994, May 2, 2007. Anyone else remember Camera Weekly, a would-be rival to AP that was a bit like the comparing The Sun to The Times (not much difference perhaps since News International took both of them over!)? I thought of it whilst reading David S H Leung's advertisement in last week's AP. He used to advertise in CW but NOT in AP (until CW folded) - not quite sure why, but if my memory serves me corrctly, he used to boast about that! Leung specialises in Canon (and Contax, when the brand was still in existence). Still, I was a bit bemused by his comment that the EOS 650 was released 'a few months' after the Minolta 7000. It was more like two years! Wish there were more of them. Yes I remember Camera Weekly fondly!!!! I still have the gift lipstick brush from them. It was a gooood mag! I used to buy both AP and CW in my younger days. I still have some articles clipped from CW, although I thought it was a bit superficial compared to AP. Yes, I to have to admit being a reader of CW, and I also still have the lipstick cleaning brush. Even worse until very recently I still had some mags tucked away. My wife made me see sence and they went for recycling. I admit to seeing it in WHSmug's. CW to AP is a bit like camera club to photographic society, or Libframilch to Burgundy. He got me to register davidshleung.co.uk because someone had already registered davidleung.co.uk and tried to sell it back to him at an exhorbitant price. So I said, send me a picture of your shop and perhaps a stock list. "Too busy" was his reply! In another way, I don't mind, for he is great character, a dealer of the old type, knowledgeable & honourable. The trade used to have lots like them and we are all the poorer for their departure. So my web page stays - frozen in time - in mute testimony of my appalling inability to "close the sale" He renewed the name last year and I said "Just send me a photo and some information about the range of things you sell"
Probably the correct decision. Many small camera shops spend a lot of time maintaining shopping basket web sites that nobody uses. To be serious about e-commerce you need to spend a lot of money getting professionals to maintain your website or be prepared to spend a lot of time doing it yourself. Most choose to do neither. I reckon we are down to under 30 camera shops (not Internet only outlets) with economically viable web sites. Camera Weekly was swallowed up by What Camera, which itself ceased publication after two years. I have the final issue, dated September 1990. The big hitters on What Camera joined AP, as both were published by IPC. This included Maloney and Heather Angel. Featured in the last What Camera? Breaking news that Kodak Ektar - a really good and much-missed colour print film - was to be available in 120 format at 25 ASA. Also an in-depth review of the new Ricoh KR-10M and a comparison of the colour D&P services of 18 different labs, mail order or high street. The best? Lab 35 with 9 out of 10. The worst? Boots in Sutton, 1 out of 10. Why pick on Sutton? The What Camera office was in nearby Cheam. I also have the final issue of Photo Answers from December 1998. In fact I was only thinking about photo mags of the past the other day. Does anybody else remember an Exchange and Mart just for cameras? Died off about 1988? Or another one whose title I can't recall, a new monthly mag around late 1991 or early 1992. The first issue had a good free gift, more of the Ektar but this time at 125 ASA and in 35mm: enjoyed using the film but the mag only lasted 2 or 3 issues. Wasn't Camera Weekly originally What Camera Weekly anyway? I remember that other Monthly - from Future Publishing, I think - was it Photography Plus? I can believe this, I was looking for a split focus screen for my Bronica ETRSi and was pointed in Davids direction, I went into the shop and he said he probably had one in a box upstairs but was too busy to look for it and that he would call me back when he had a chance to find one, waited about 2 weeks so called him to be told he had found a second hand one (great) that in the mean time he had sold but he was trying to get hold of a new one from 2020 the distributers and he would call me when he got hold of one. Still awaiting the call about a year later, but yes he is a character and yes he does know cameras. Hmmm, other defunct magazines I remember are SLR Camera, Photography, and Camera (which was a large, almost A3 affair). Yes, I remember CW. Other magazines I used to get which no-one has yet mentioned were "35mm and Sub-miniature Photography", "Good Photography" and "Photo Technique". Ah, how could I forget Photo Technique! I know this thread hasn't seen anything since 2007 but Camera Weekly was at one time What Camera Weekly. 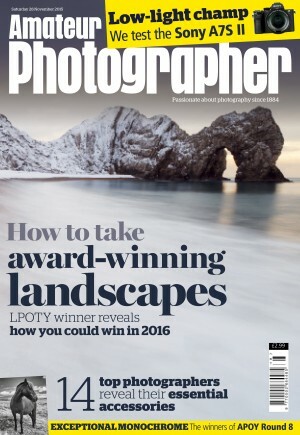 It was the magazine that got me started out on cameras back in 1984. i subscribed to it, Amateur Photographer, SLR Camera and Practical Photography...those were the days! All of that certainly helped my knowledge on 35mm cameras in particular. Camera Weekly was bought out by Amateur Photographer, was eventually absorbed into AP completly and then quietly expired. I remember a few years back, I was desperately trying to get hold of a 400 5.6l. Nobody had one in stock.....except him. I was then given a lecture about why he was suspicious about the internet and folk phoning him up for prices...oh and he had seen them being made in the factory......no matter how hard I tried to persuade him that I was going to buy there and then over the phone...he refused to sell. Weird...but I have to say I couldn't help liking him. Ended up buying a 100 -400 zoom. I finally got hold of SLR Camera issue 1. The first camera magazine I ever bought was issue 2, published July 1967 and featuring a Topcon RE Super with a 250 shot magazine on the cover and articles about Tom Smith and Cyril Bernard inside. Tom who? Cyril who? Fame is fleeting but they were both well thought of at the time, Smith working for the the Observer Colour Magazine and Bernard a freelance supplying the education press. The pictures from both men were a major influence on my photography and probably still are. Oh yes, I still have that original copy. Issue 1, however, eluded me for forty five years or so, until I picked it up at the end of last year from an ebay auction. The cover "model" is an immaculate black Nikon F with the f1.2 55mm lens - stratospheric equipment at that time. The articles were something of a disappointment, though, with a feature about advertising photographer Michael Brockway, whose pictures entirely fail to impress me, unlike the images from the later edition. In fact, if I'd bought issue 1 back then, I'd probably have done something completely different with my life! I used to get CW every week and a fellow worker bought AP,then,after reading we`d swap so I always ended taking AP home!. It was a good magazine. Yes, I remember Camera Weekly very well. At one point I bought it more frequently than AP. Unfortunately, in a fit of shortsightedness, I got rid of them all quite a few years ago. What amazes me is the fact that I've never found a single issue for sale on ebay or Amazon. I've been mangling my little grey cells again ... I seem to remember an A5 sized Leica fotograhie (I think) and a magazine produced promoting Linhof cameras, called either Foto Technik or/and Photo Technique - both of these (I saw and bought these in WH Smiths) which I think might be still available. The Linhof magazine I will always remember because of two articles they did, one on photographing birds, where some character, bolted a 5"x4" view camera on the branch of a tree, near another where a large bird of prey perched, and successfully took a shot of it ... He left a replica of the camera 'perched in the tree for about 3 months, so the bird got used to it being there! -the detail was so great, that you could see lice etc in it's feathers. The other, referred to the photographic archival duplication of a German medieval 'Book of Hours' whilst it was being rebound/restored ... What made this truely astounding, was that the resulting transparencies (10"x8") were then actually printed onto vellum, rather than paper, specially coated and processed by Ciba Geigy; at this point, it was realised that whilst the colours could be accurately reproduced, the gold leafing wasn't, so for an even smaller limited edition (25?) of this book, some actually had gold leaf applied for the purposes of absolute accuracy! I think, this photographic project took something like 3 -4 years to complete. Can't offhand remember the price, but I think those copies were £2-3000 each. I think the issues of the magazine I'm referring to, were published during the mid-late 1970s. Leica Fotographie International is still published: http://www.lfi-online.de/ceemes/ I had several issues at one time.